With the ever changing needs and demands of healthcare providers, clinicians need a device that provides seamless mobile access to clinical systems, vital patient data and connectivity to care teams. Honeywell’s CT50h has been designed to support the most advanced connected mobile user experiences, the latest mobile EMR and nursing applications, and secure care team communication, so workers can more effectively manage a wide variety of tasks throughout their many workflows. Allowing clinicians to be connected while mobile improves the clinical workflow and allows real-time management of alarms or access to patient vitals from anywhere in the hospital. Honeywell has launched a new clinical mobile device that connects hospital staff to the digital resources they need to provide a safer and more satisfying patient experience. The new Dolphin CT50h mobile computer incorporates a barcode reader as well as the functionality and user experience of a smartphone to help hospital staff communicate, expedite admissions, simplify specimen collection and provide accurate medication administration. By automating workflows and communications, Honeywell helps hospital staff become “connected clinicians” – significantly increasing productivity, responsiveness and safety to achieve greater patient satisfaction and enhancing hospital operations. 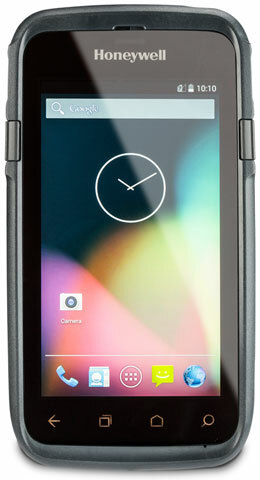 The Honeywell solution is based on the Dolphin CT50h mobile computer, a powerful AndroidTM device that features best-in-class imaging hardware and decoding software for fast and accurate barcode reading. With a touch-screen interface, the ergonomic handheld computer provides hospital staff with full access to patient data, medical device status, clinical alarm events and secure communications with the care team from anywhere in the hospital.